The Honorable Michael P Meehan is President & CEO of Squared Communications, Founding Partner at the Potomac West Group and a guest lecturer at Columbia University's School of International and Public Affairs. For over three decades, Mr. Meehan has been at the epicenter of the communications, politics and policy spheres, bringing clear and concise successes from the combative court of Capitol Hill to helping companies, foundations, trade associations, non-profits and issue coalitions navigate crucial priority policy issues. His nuts-and-bolts knowledge of how to connect in reality, rather than through hype, is crucial to his success. His media training has been hailed as irreplaceable, he has worked with C-suite executives preparing for their IPOs and financing rounds, executed crisis communications strategies and led complex communications efforts for policy advocacy. During his time on Capitol Hill, Mr. Meehan served in many top posts, including U.S. Senate chief of staff, communications chief for several U.S. Senators, national political director for a Senate Majority Leader, as well as several U.S. House members. In addition, Mr. Meehan served numerous years at the top political and communication posts of all three national Democratic National Party Committees and the House and Senate National Party committees. As testimony to his ability to find consensus and generate progress, both Presidents Barack Obama and George W. Bush nominated Meehan to serve as a member of the Broadcasting Board of Governors (BBG), which oversees all five U.S. international broadcasting networks, like Voice of America, to promote the free flow of news and information in the area of public diplomacy. Governor Meehan served on the bipartisan BBG from 2010-2015. As the Chair of the Strategy and Budget Committee for four years, Mr. Meehan oversaw an annual budget of more than $750 million per year to serve the citizens in 100 countries in 61 languages with over 4,000 journalists. Despite a budget cutting era, the BBG grew its worldwide audience from 175 million unique weekly to over 226 million today. During his time as Chair of the Global Internet Freedom Committee, Governor Meehan was a forceful proponent of Internet freedom and censorship circumvention technologies to allow international audiences access to open internet, otherwise denied to them. In 2011, he lead a transformative effort to dramatically expand the U.S.-government-funded programs to counteract online censorship in repressive countries. By vastly expanding the BBG’s internet circumvention efforts and establishing the Open Technology Fund to support technology tools and techniques to counter government repression, Gov. Meehan has helped more than 1 billion people daily access the open internet without the fear of monitoring, surveillance, interference or off-line reprisals for online speech. Gov. Meehan’s strategy began with a modest $10 million investment from Congress which was leveraged with millions more from private foundations and corporations. These efforts rapidly expanded the internet freedom tools to help journalists report to and from closed societies, and provide access to the citizens in repressive environments seeking objective news and information. As the Chairman of the Board of Directors of Radio Free Asia and the Middle East Broadcasting Network, Gov. Meehan provided strategic leadership in combating disinformation and censorship throughout Asia and the Middle East. Gov. Meehan was honored by the Visual Artists Guild with the Champion of Free Speech Award in 2013. As an expert in strategic communications, national and international media, message development and implementation, polling and election politics, Meehan is well positioned to build targeted and personalized public relations campaigns that achieve targeted public policy and media goals. While serving as senior communications advisor on John Kerry’s presidential campaign, The New York Times noted that he “specializes in adversarial situations.” Smart details and persuasive passion are unique attributes of Mr. Meehan’s portfolio. As a crisis communications expert, he helps people and companies successfully navigate unforeseen situations. Mr. Meehan draws from a wide range of experiences - from sports reporting in his early years, to teaching social studies, to senior private sector experiences, to international media official, to youth sports coach and board rooms. In addition to growing his own successful communications and political consultancy, Mr. Meehan spent three years as senior vice president at Virilion, a digital media company. 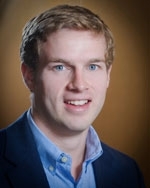 Mr. Meehan serves on boards like Media Matters and holds a degree from Bates College in political science and education. As an expert in media, communications and politics, Meehan regularly appears on national television news programs and serves as a guest lecturer at Columbia University’s School of International and Political Affairs and spot lectures at UC Berkeley, Harvard, UCLA, Stanford, American and others. Meehan also serves on the National Journal’s Political Insider panel. Meehan has three daughters and lives with his wife Tovah just west of the Potomac in Alexandria, Virginia. Erin Grandstaff is Senior Vice President of Squared Communications. Prior to joining SQComms, Erin served as account executive at Blue Line Strategic Communications where she was responsible for the day-to-day operations, client interaction, and implementation of strategic plans and supports a wide range of other client needs. In 2007, Erin worked for the ONE Campaign. While at ONE, she was the Student Outreach Coordinator and then moved into the role as a national campaign coordinator for the presidential initiative, ONE Vote ’08. Erin was a professional staff of U.S. Senator Harry Reid from 2004 to 2007. Erin holds a B.A. in Political Science and Spanish with a minor in Art History from Indiana University. Charlie Patterson serves as Vice President at Squared Communications and is responsible for day to day operations, media relations, writing and research, producing client materials, and other client needs. His previous work includes time spent as a scholar with Blue Line Strategic Communications in Washington, DC and an internship with the Robertson Marketing Group in Salem, VA.
Charlie holds a B.A. in Political Science from Roanoke College. 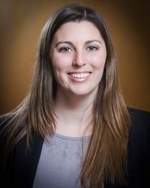 Alexandra is an Account Executive at Squared Communications. 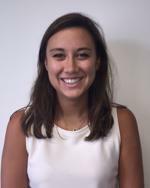 Before joining SQComms, Alexandra interned at Gloss PR, a boutique PR firm in Philadelphia. At Gloss, Alexandra had the chance to work with Iron Chef Jose Garces and the Garces group, Chef Garces’ non-profit organization aiding immigrants living and working in the Philadelphia area. She also had the opportunity to teach at a bi-lingual school in Seville, Spain, while studying abroad her junior year of college. Alexandra holds a B.A. in Communication, with specializations in Journalism and Media Production, from Villanova University. She also earned a minor in Political Science at Villanova and was the anchor of one of Villanova’s sports talk shows. Jacqueline is an Account Executive at Squared Communications. Prior to joining SQComms, Jacqueline served as a Press Secretary in the United States House of Representatives, and as Deputy Press Secretary for Kathy Szeliga’s 2016 campaign for United States Senate. During her undergraduate career, Jacqueline interned with personal offices and committees within the U.S. House of Representatives and volunteered with after-school programs and community centers in Baltimore City. Jacqueline graduated as a Sondheim Public Affairs Scholar from University of Maryland, Baltimore County. She holds a B.A. in History and minor in Political Science.